Not all companies start out to develop video games. 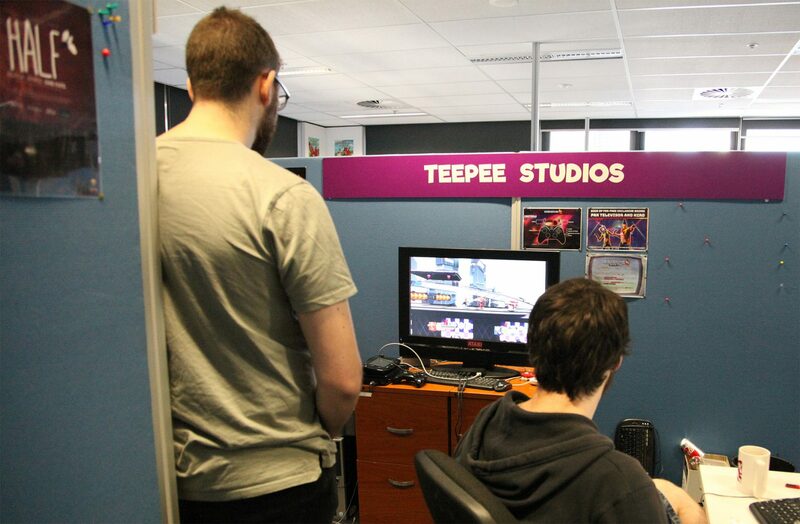 For some it’s simply the natural evolution of a company, which is how TeePee Studios got in the game (excuse the pun). Founded in December 2016 by Peter Daly and Thomas Sutcliffe, TeePee Studios was initially established as a visual effects (VFX) and film production company that worked on in-house TV productions and lent its VFX talents to client productions. It wasn’t until late 2017 that TeePee Studios added a video game division to its arsenal of entertainment offerings, with TeePee acquired indie developer Salty Monster Studios, its IPs, and developers. 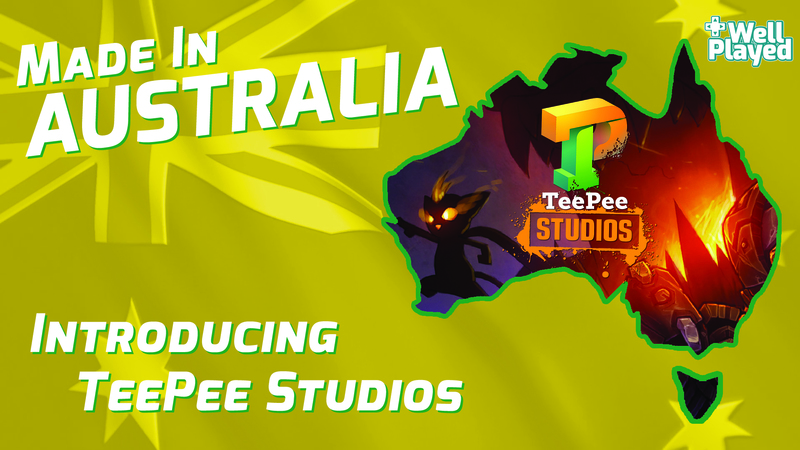 Jordon Nelson, the company’s Chief Operating Officer, reveals that the relationship between TeePee and Salty Monster Studios began much earlier in 2017. ‘TeePee Studios did some work with Salty Monster Studios in early 2017 and we had a great working relationship’, he says. ‘We realised that under the same banner we could accomplish some great things together. As a result, the team from Salty Monster Studios merged with the TeePee Studios team and became the TeePee Games division’. Prior to the merger, Salty Monster Studios had been working on an arena party brawler for PC in the same vein as Smash Bros. called Dimensions VS, which I played at PAX Australia 2016 and surprisingly enjoyed despite my lack of Smash Bros. prowess. Dimensions VS is now TeePee’s primary video game project, and after several years in the making it will launch as a free-to-play Early Access title this month, a milestone that everyone at the company is excited about. Although TeePee is still in its infancy it boasts seventeen full-time team members, which sounds like a decent amount for an indie company that is less than two years old, however that manpower is spread across the studios’ three divisions, which are always working on projects. Currently the VFX and film divisions are working together on several projects, including Grey Area, Project S.E.E.D. Prelude and Dragon Magic. For more information these projects visit TeePee’s official website. Given the company’s eclectic range of creative talent, it’s inevitable that the divisions will collaborate on projects, whether it’s during the pitching process or the production of the project. ‘We sit down a few times a year and throw around ideas for various game or film projects’, Nelson says. ‘Pitching for us is an extremely collaborative process, we tend to have better ideas when we can bounce back and forth between us. Pretty much everyone has some amount of input on all of our products’. Not all of the team members are exclusive to one discipline reveals Nelson, with people often shifting between the game and film divisions as projects require more attention. ‘We’ve had divisions collaborate on projects in the past and it’s certainly something we encourage when appropriate. Having different perspectives helps the process’, Nelson states. ‘Someone with a film or VFX background will approach things differently to someone with a game background, and that can lead to some really special developments’. This approach also helps keep costs down, Nelson emphasises. ‘When we’re making trailers and cinematics for our game products – having VFX members of the team working on them lets us keep our production in-house’. Occasionally, the studio will outsource its VFX services to other companies and their productions. ‘We’ve been able to work on a large range of indie film and TV productions through our client work’, explains Nelson. ‘It also enables us to create a wider variety of VFX that we otherwise might not get to utilise on our own productions’. With video game development budgets continuing to skyrocket, the ability to save money whenever possible is a massive boon for any indie company, and TeePee Studios is no different. While they aren’t strapped for cash, Nelson admits that they do occasionally receive grants from the Academy of Interactive Entertainment (AIE), and from time to time they will dig into their own savings for stuff like licences when required. Nathan Sola, a project director at TeePee Studios joined the company after the Salty Monster acquisition, has been working on the development of Dimensions VS since it began as a student project in 2015 and is excited for players to finally get their hands on the game. Although the game’s development has been no duck soup, with it originally scheduled to launch in 2017, but due to player feedback Salty Monster decided to postpone the game’s release. ‘In 2016, we exhibited early versions of the game at conventions such as PAX and Supanova, and the most common feedback was that the gameplay was floaty and unresponsive, with rough animation work’, Sola reveals. Sola, who studied Game Art and Animation at the AIE Melbourne campus (where the company is now based), credits his own desire to pursue video game development as a youngster as the catalyst for turning it into a career. ‘I taught myself digital art and Flash as a kid just so I could make terrible Newgrounds games’, Sola laughs. ‘Having people play the games I made motivated me to take it further. There’s just something really rewarding about watching people really enjoy something you’ve spent so much time on’. Naturally video games themselves played a part in Sola choosing the career he did, with the project director crediting Mass Effect, Smash Brothers, Knights of the Old Republic, World of Warcraft and Warframe as games that have cultivated his love for video games. However, Sola admits that if he could work on any franchise that wasn’t his own it would be Rivals of Aether, ‘I really admire how much care has been put into the game and the characters around it’, he says. Sola also reveals that if he got the chance to revive to any old franchise then we’d be seeing a new F-Zero game. ‘So many games have done a great job of modernising the futuristic racing gameplay, but none of them brings the quirkiness or charm that F-Zero has’. Despite Sola’s drive and determination, he recognises that those team members around him have helped hone his skills even further. ‘Working alongside team members from different disciplines also helped. Developing games has helped develop my own skill, and has been a massive learning experience for me’. Teamwork is not only important from a development and learning point of view for Sola – it’s one of the reasons he enjoys both playing and developing games. ‘I most enjoy video games capability to bring people together. Just having a few mates playing games with you can change the entire experience’, he states. It’s this philosophy that defines Dimensions VS – a game all about bringing players together and having fun, albeit beating people up in the process. While Sola is proud about how far the game has come since its days as a student project in 2015, he acknowledges that there’s always work that can be done to improve and it’s something that he identifies as one of the biggest challenges running and working for an indie studio. ‘There’s always animations that could be improved, particles that need tweaking, game systems or art assets that aren’t 100% implemented as we intended’, Sola states. The other major challenge that Sola faces is knowing when to down tools and accept that something has to be cut from a project due to time or financial constraints. Sola believes that the Australian government could be doing more from a funding point of view to help out indie game development. ‘I think overall we’re going in the right direction, but having more funding opportunities to the extent that films do here would be huge for local devs’, he says. ‘We certainly have a ways to go in regards to game development – plenty of friends have gone overseas to work in the industry’, Sola adds. However, like any job there are good days and there are bad days in video game development, but given the option Sola wouldn’t change his career path. ‘If I weren’t a game developer I’d have to be doing something at least tangentially related to nerd culture in some form’, declares Sola. ‘I’d probably be a freelance artist’, he continues. As we wrap up our chat Sola divulges that Dimensions VS isn’t the only game that TeePee is working on at the moment, although he won’t give any hints as to what else they’re working on. ‘Due to our team size, we do have the occasional luxury of working on other prototypes while developing Dimensions’, Sola says. ‘Usually we do a one-month sprint on the other project, though it is pretty infrequent. Currently we have two game projects waiting in prototype stages’. With TeePee launching Dimensions VS later this month all hands are on deck, and although it’ll be a free-to-play Early Access release, Sola has promised that the team will be working hard to refine and balance the game, as well as adding more content in the lead up to the full release. Sola also emphasised the importance of listening to player feedback and that Dimensions VS will have no pay-to-win microtransactions, a business move that is sure to resonate with gamers. Perhaps one of TeePee’s greatest assets is their ability to see the bigger picture. They only have one chance at releasing Dimensions VS and they want to get it right. If that means delaying it to implement player feedback then so be it, they are going to be the ones who play it after all. The way Nelson and Sola talk about the community’s input makes it sound like they are just important to the game’s development as the team itself, something that the company should be proud of and build on as they have a very bright future ahead of them.